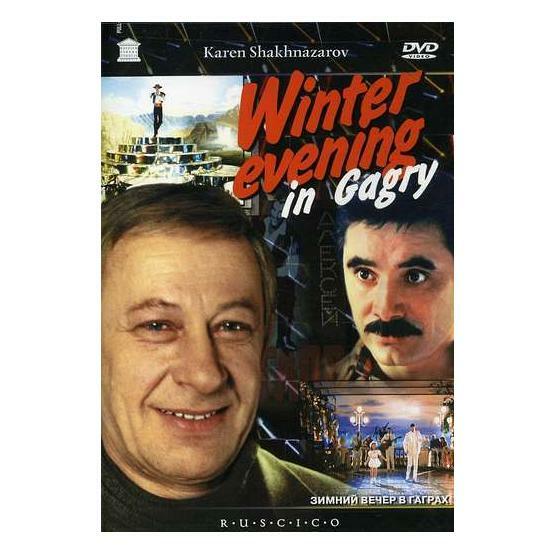 "Winter Evening in Gagry" (1985) is a story about a former step dancer and a youngster who convinces the former to pass his art on. Directed by Karen Shakhnazarov. Starring Evgeni Evstigneev, Aleksandr Pankratov-Chyornyy and Natalya Gundareva. TV systems: NTSC, PAL. Aspect ratio: 4:3. Sound format: Dolby Digital 5.1. Languages: Russian, English, French. Subtitles: Russian, English, French, German, Spanish, Italian.